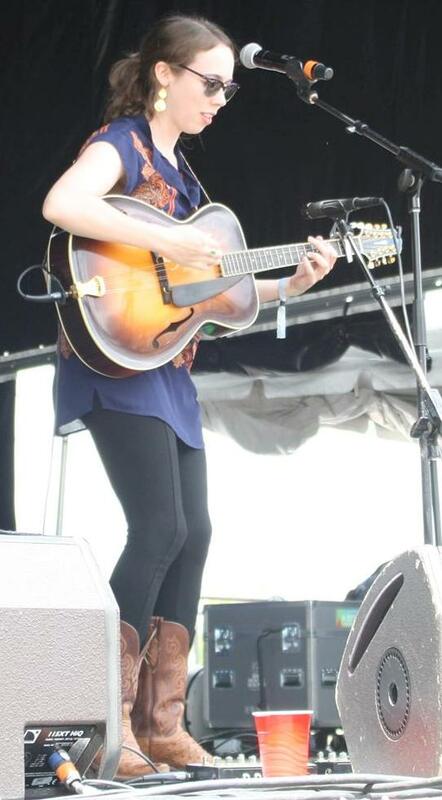 We were so excited with Sarah Jarosz’s performance at this year’s Forecastle Music Festival that we had to catch-up with her after the weekend. Sarah Jarosz is currently touring in support of her new album Build Me up from Bones. Although she is only twenty-one years old and a recent college graduate, she is extremely accomplished in the world of music. We discuss growing up in the music scene, her new album, and the college experience. Grateful Web: Thank you for taking the time to speak with us. We loved your performance at Forecastle this year. Sarah Jarosz: Thanks. We really had a blast. It was a great experience. GW: You were one of our memorable moments from Forecastle. Did you see any performances that stuck out to you? SJ: The Flaming Lips were really awesome. I’ve never seen them live before and it was definitely a highlight. GW: Are you playing other festivals this summer? SJ: Yeah! We are actually on our way to Montana right now. We are going to play at the Top Hat Lounge then Targhee Fest, Ossipee Valley Music Festival, and Newport Folk Festival. We are extremely honored to be playing the Newport Folk Festival. GW: Although you are originally from Texas you are familiar with the Colorado music scene. You played the Rockygrass Festival in Lyons, Colorado when you were eleven years old?! SJ: Yeah, I played the Rockygrass Festival first when I was eleven and then played Telluride in 2007 when I was sixteen. Colorado has been a very special place for me. GW: So, you’ve really been in the music scene you whole life. SJ: I picked up a mandolin when I was ten and really fell in love with it. The rest really sprouted from that. I picked up the banjo and guitar spontaneously after that and I was off. GW: When does your new album Build Me up from Bones Release? SJ: September 24th and I’m really excited about it. It’s nice to have it completed. GW: What are you the most proud of with the album? SJ: I just worked really hard on it. I stared working on the album back in January while I was still in school. Some of its co-written and some of it’s my original music. I’m really proud of it in all aspects. GW: Is this album different than your previous releases? SJ: Yeah, I think living in Boston for the past four years has had its influence on the album. The song writing was definitely inspired by my time in school up there. GW: What school did you attend? What degree did you earn? SJ: I went to the New England Conservatory and earned a degree in Contemporary Improvisations. It’s a study that means different things for different people. It’s a development of your personal style which allows you to study a lot of different kinds of music, music theory, and music history. It was a great experience for me. It really forced me out of my comfort zone musically and definitely impacted this album. GW: Thanks for taking the time to speak with us and we hope to see you in Colorado in the near future. SJ: My pleasure. I’m sure we’ll be back soon.